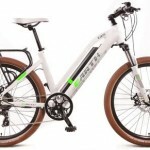 The EARTH BIKE range of electric bikes are quite possibly the best value factory made ebike brought into Australia. They all use high quality SAMSUNG 13 Ah batteries and SHIMANO running gear and are unbeatable for price. They have commuter bikes, mountain bikes and step through bikes. We love the Mi5 and the Ui5 and have chosen to exclusively stock these two from their range. The battery located within the frame of the bike gives a lovely look and superior riding performance. 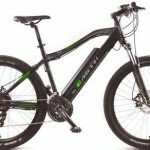 For quality and price they are unbeatable in terms of production line electric bicycles. They have the most torque and power of all production line ebikes we’ve ridden and using even a level one power setting (out of 6) gives a nice level of power assist. The throttle is limited to 6km/h under the new 250W law import laws. CLICK HERE for full specifications.